Sadly, as August makes way for September, the mountain bike race season comes to a close and many racers will be hanging up their team kits until the spring. But, with the cooler temperatures rolling in, if you’re one of the race-addicted and you listen closely, you can already hear the foreboding call of Cross! Ahh… Yes! Cyclocross, the demented sport of racing rigid framed bikes, with skinny tires and cantilever breaks over loamy, grassy knolls, through sand pits, up stairs, and over wood plank barriers… How could you turn that down?! This season I’m back for more punishment, and thanks to River Valley Cycle, this half of Bikeridr will be using the right tool for the job, racing in style on a sweet 2010 Kona Major Jake. Hopefully, combined with me being a year wiser, and maybe a little fitter than last year, I’ll do the bike some justice out there. Wish me luck! In any case, it will be awesome getting to race on such a killer CX machine, and the bike will be for sale through River Valley Cycle at a sweet demo-deal price afterwards! So if you or someone you know is looking to pick up a new CX rig, you can let me know, or contact Syd at the shop for all the deats. Cyclocross races are short, it’s true, at least by cross-county mountain bike standards. But don’t be fooled by the measly 45 minute race time. Be ready for an all out, lung exploding, leg crippling, dead sprint pace for the whole 45 minutes. There aren’t any big downhill sections in Cross races, so you can’t rely on these for recovery time like you can in an mtb race. The courses are also designed to be twisty, so that you can’t really ever carry any speed, or coast. You’re almost always breaking into a turn, and then accelerating back out. This start/stop pattern lends almost no opportunity for recovery. My tip: although it’s a sprint, you still need to pace yourself. So head out and see what it feels like to try and sprint, and be ‘on the gas’ for 45 mins straight before you do your first race. In my first race, I wasn’t ready for this at all. End result was me going out as hard as I could off the start, and then blowing up 20 mins in. Woooo! Good times. The ground in the fall can be grippy and dry, wet and slick, or even hard and frozen. For this reason, my tip is to pay attention to your tire pressure and don’t be afraid to run them soft. I ran my tires too hard all season, thinking I wanted ‘rolling efficiency’, but the end result was, more often than not, me not having the grip I needed to make the tight turn, climb short but steep hills and hold a line on the off-camber side hills. Let’s just say I took a lot of spills. Woooo! More good times. Also look into toe cleats for your shoes. Gordo loves these things, so they must be good, and your shoes probably come ready, and almost any soccer cleat should work. A major part of what makes Cross, Cross, is the use of man-made obstacles. Sand pits, wooden barriers, bridges, and stairs can all be part of the course. Though sometimes a sand pit is ridable, the rest if these obstacles typically involve mounting and dismounting. So, my tip is that you practice this before your first race, because there is a right way, and a wrong way to do it. When you’re in a tight group of other racers, stopping, getting off your bike and then jumping the barrier won’t make you any friends, and likely cause a pile up. You need to know how to dismount on the fly. Here is a video on how to do this properly. If you’ve never ridden Cross, and you’re just looking to try it out for a race, you can use your mountain bike. I didn’t know this, so I tried to fit out my road bike with knobby tires and race with that. Needless to say, it didn’t really work that well. 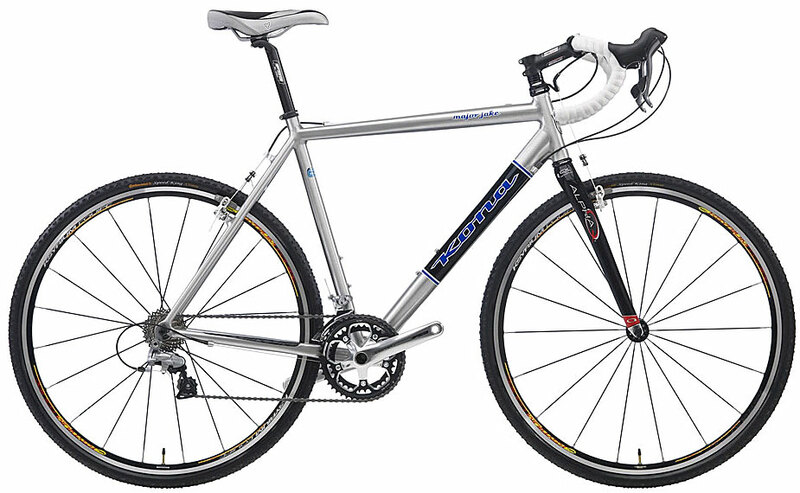 Road bikes and Cross bikes, though looking similar, have different geometry, as well as different wheels and gearing that make the Cross bike a much more suitable tool for the job. I hope some of that will be helpful to someone out there. Like I mentioned, I’ve only got one season under my belt so I can’t offer too, too much in the way of sage Cross advice. So if you’re a seasoned Cross racer, and you’re reading this, feel free to add your two cents. Last season I found that most of the Cross racers I recognized were mainly only the ‘faster’ mtb racers (Sport and up). I didn’t see a lot of Novice mtb racers at all. This season, I hope more of you will come out. Give it a try. Like I said, you can ride your mountain bike for the first couple races, so there isn’t anything holding you back. Fall is by far my favourite time of year to ride, so let’s get out there! The race season continues! For the ABA Cross season schedule click here. Hammer that bike into the ground Sheldon! There shouldn’t be anything left to sell! Sheldon is right on with a lot of things. Tire pressure is super important and lower is better. That’s why all of the top guys run tubulars so that they can get the really low pressures. Most cross skills are practice and repetition. If you want to be good at getting on and off your bike efficiently you have to practice it. Also make sure you pre-ride the cross course. The loops aren’t as long as mountain bike races so you can do it on the day of the race. I think it’s even more important to pre-ride for cyclocross then for mountain bike. And remember to have fun! It’s bike racing and other then the super fast guys none of us are getting paid. Also thank the volunteers at races. My hope is for snow, mud, rain, and nasty conditions – that’s what ‘cross is suppose to be about! It is really important to practice your mounts and dismounts. There are a handful of ‘cross clinics around town so if you don’t know how to dismount and mount properly, go learn how. Then practice, practice, practice. If you are good at getting off & on your bike, you can make up a lot of time (a little per lap) on your competitors. Well Sheldon it looks like your getting solid info on how to make your cross debut a sucess. The cyclocross community is filled with great people & incredible riders who know how to make racing fun & this season is sure to turn you into a true cross addict. River Valley Cycle has been a big fan of cyclocross & would love to help out in any way if there are any riders looking for a bike fit or parts questions, the best part about being in a shop is you get to see & hear about the performance of all sorts of brands of tires etc so we can be a real resource to racers. we wish you all a fun & fast season of cross.